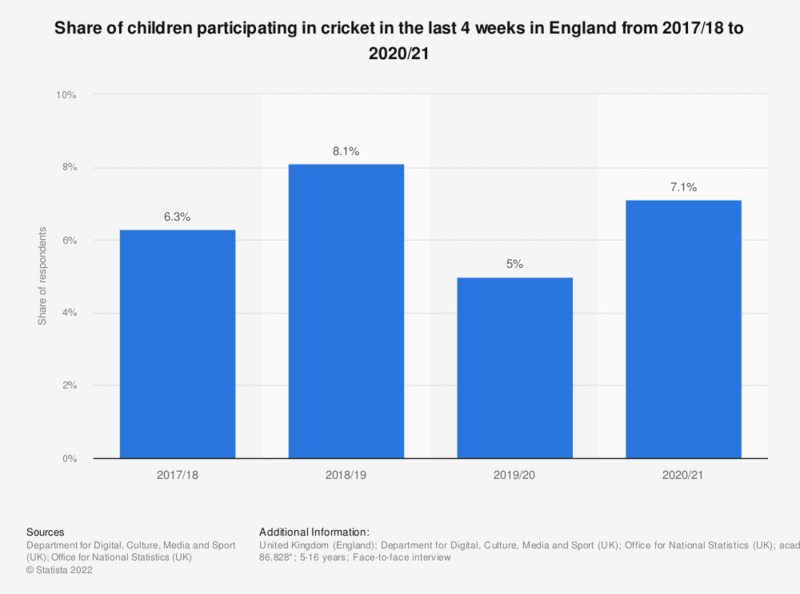 This statistic presents the share of children who participated in cricket in the last 4 weeks in England, as of annual surveys conducted between 2010 and 2018. During the observation period, the share of cricket participation has been steadily falling for both groups. In 2010/2011, approximately 17.3 percent of the children between the age of 11 and 15 participated in cricket in the last four weeks, whereas in 2017/2018 the share was 12.6 percent. Everything On "Cricket in the United Kingdom (UK)" in One Document: Edited and Divided into Handy Chapters. Including Detailed References.